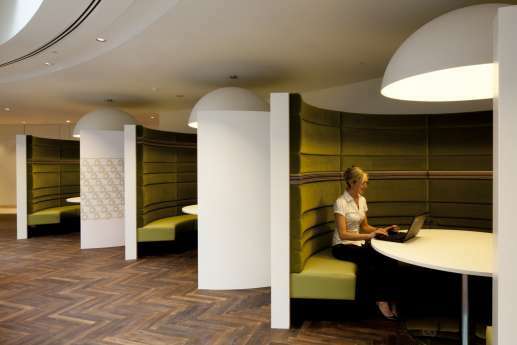 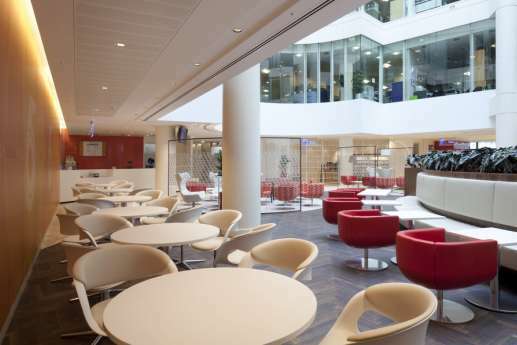 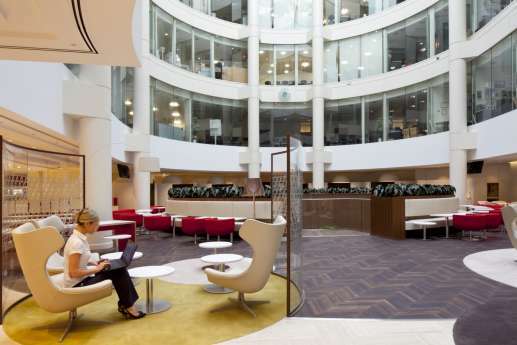 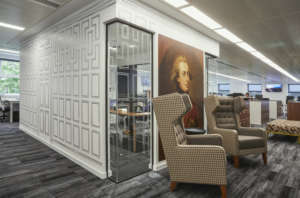 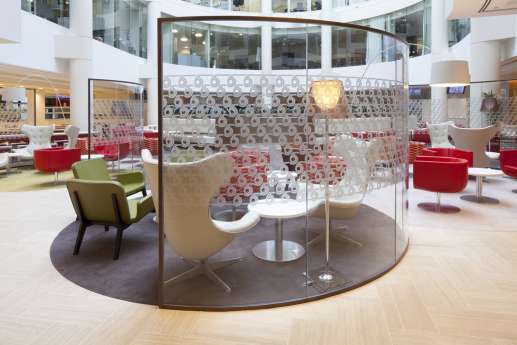 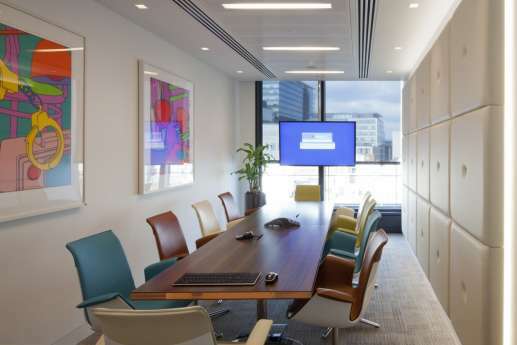 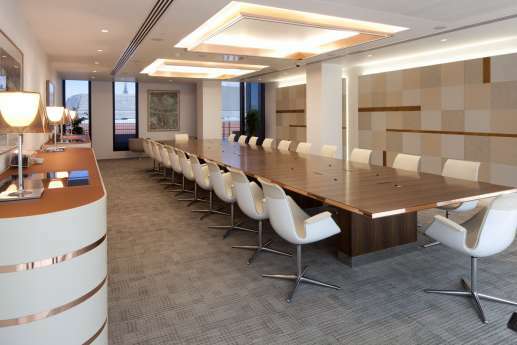 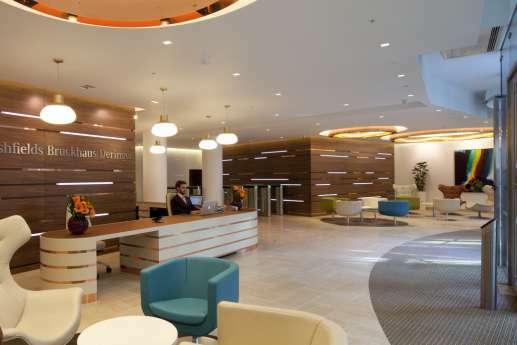 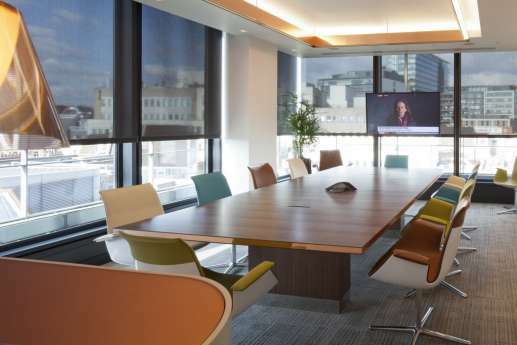 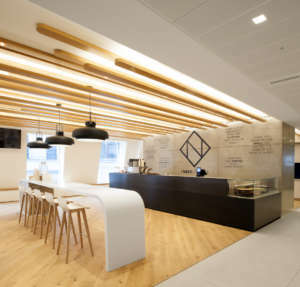 Based in the City of London, Freshfields, the international law firm, charged Overbury with the task of stripping and fitting out four floors of their London office. 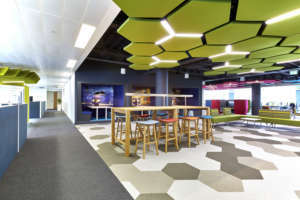 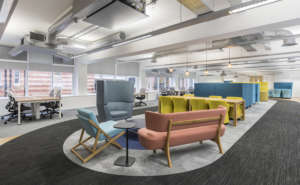 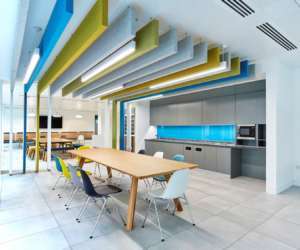 The office, however, had to remain operational throughout the project, so the first element of the contract was to trace and tag the firm’s M&E. 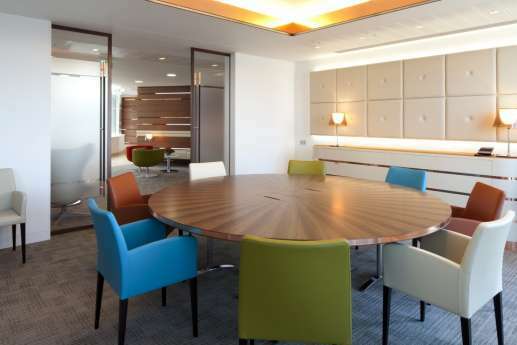 Noise and disruption are not conducive to legal work, so Overbury coordinated the works with the client so they were not disturbed. 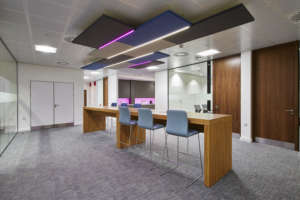 The relocation of staff facilities was phased and they were relocated as the project continued. 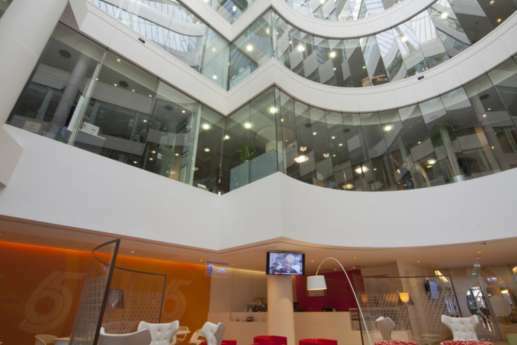 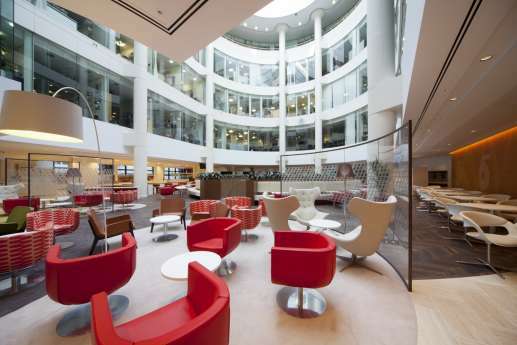 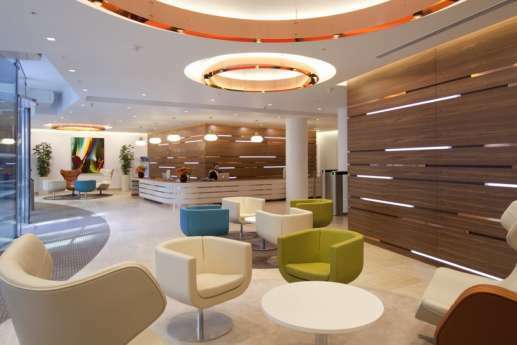 Client-facing facilities, fine dining restaurants, meeting rooms, breakout areas and receptions were provided and Overbury oversaw the installation of a feature staircase and the refurbishment of the lower atrium. 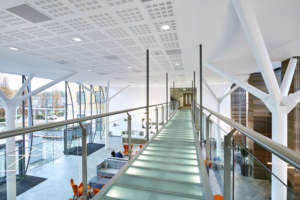 The main reception features a glazed entrance screen, revolving doors, joinery panels, a new desk and feature ceilings. 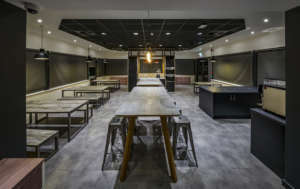 Furthermore, a new gym was created complete with showers, changing rooms, a health-and-well-being centre, cycling and running facilities, cycle parking spaces and lockers for up to 200 users.